Dale, Cruciform, Madrigal and 10 others like this. Timbre Wolf, xmd5a, kor and 11 others like this. MrMoose, Eveningtheme, Halsey and 1 other person like this. I think it looks killer. MrMoose, Halsey and detroiter711 like this. Rafterman, mikebat, Cruciform and 7 others like this. Never understand the dislike for antigua, it looks great. gerg6, Timbre Wolf, TVvoodoo and 8 others like this. Looks great, but I liked the Fender stuff too. Silver Hand, stanshall and detroiter711 like this. It looks well done...liking it will be a matter of personal taste. woof*, WordMan and detroiter711 like this. I actually dig it and went as far to ask if it could be done on a custom order. gerg6, detroiter711 and shane8 like this. macatt, RolandKorg and eigentone like this. Just get something that doesn’t require a pickguard LOL!!! I have two Standard Carve Tops and have thought of getting a third, one with the body and headstock done just like that. I like how it's repeated in the pickguard, but the colors aren't doing it for me. Reminds me of flan with the burnt sugar edges. 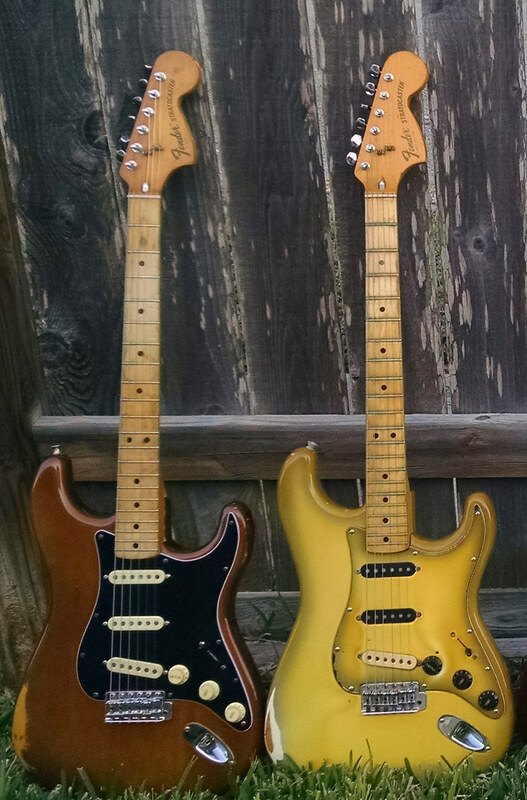 The Fender Antigua finish reminds me of the greenish yellow stuff found on the yolk of a hard boiled egg. I don't mind the color so much, it's the pickguard that I really don't like. I think it could look good with something like a tortoise guard. TVvoodoo, Jayyj, mobius and 1 other person like this. djw, EtaCarinae and mobius like this. mikebat and derekd like this. Ever since I saw this finish, as a kid, I thought it looked like hard boiled eggs that went bad after being left out in the sun too long. Nauseating finish, IMO. YMMV. Mark Robinson, eigentone and sixesandsevens like this.